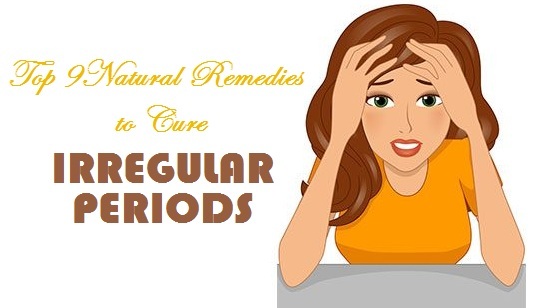 Ladies these all are simple remedies to cure your irregular periods problem, you try these remedies just for few weeks, if problem not solved consult with doctor. 1. Eat fresh fruits daily like papaya, carrot juice, grapes and dates. 2. Drink bitter gourd juice two times in a day. 3. Mix cumin seeds powder and sesame seeds and consume it with honey daily. 4. You can also mix radish seeds with buttermilk and drink it. 5. Mix fennel seeds in water, leave it for 15 - 20 minutes and drink strained water. 6. Parsley juice also very beneficial for irregular periods, drink this juice daily. 7. Eating one unripe papaya daily very beneficial to cure irregular periods. 8. Have ginger tea or consume some raw ginger with honey. 9. take some asafetida and jaggery daily.